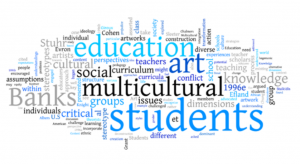 3 Myths About Multicultural Education That Must Be Dispelled – Conscious Education Consulting, LLC. Want to know one of the fastest ways to clear a room full of educators? Mention the words diversity, inclusion, urban, culture, race, or multicultural. Want to clear a room even faster? Mention all of these words at once when talking about how to improve the learning experiences of our nation’s students and you may be the last one standing in many educational settings. All of the above-mentioned words are not ugly, vile, or demeaning in nature. Yet, the amount of disdain and discomfort that can be summoned when these well-meaning words are brought up lead me to believe there is much misinformation surrounding these words that need to be addressed. For the sake of brevity, I cannot delve into the myths surrounding each of the above words. However, common and persistent myths surrounding what multicultural education is, who it is for, and how it should be used, will be addressed and dispelled below. If that were true, it would need to be changed to bi-cultural education as it would leave out the majority of our culturally, linguistically, ethnically, socioeconomically, religiously diverse and differently abled students. Thankfully, multicultural education seeks to equip all students to live and interact positively in our increasingly diverse world. Some individuals fear that a focus on multiculturalism will leave out the experiences of White students. This is not the case as even students from the dominate culture are diverse in ways such as gender, class, and language; all of which a multicultural approach to education seeks to include. Multicultural education is for every student, every day. It seeks to include the histories, perspectives, values, languages, and beliefs of diverse peoples. It aims to help all students have the opportunity to learn in an educational setting that embraces, values, and affirms all parts of their cultures and identities. Having a multicultural approach to teaching takes those important parts into account to create more meaningful and relevant learning experiences for all students. Talking about our differences or bringing attention to them is not what divides us. It is the assumptions and misinformed fears that are projected onto those differences that has kept this nation divided since its inception. Due to the lasting impact of historical oppression and discrimination, we are already profoundly divided among racial, gender, sexual orientation, religious, and class lines. The recent turbulent political atmosphere has made some conclude that America has not been this divided since the Civil War. However, multicultural education provides a remedy for all the bias and hate running rampant in our society by resting firmly in the values of equity and justice. The proper implementation of a multicultural approach will elevate the value of all peoples and work towards the common good of everyone. It seeks to bridge the gap in understanding of diverse peoples and provide a proactive approach in addressing societal ills by teaching students how to have empathy and respect for all humanity, not fear and disregard. Last time I checked, many of the deeply held convictions of what America stands for revolve around the notion of e pluribus unum, one out of many. This “many” includes the Indigenous Native Americans who resided on this continent for thousands of years before European contact. It includes the influence of their government structure, studied by Benjamin Franklin, to be used in the creation of the U.S. Constitution. It includes the European endured servants and Pilgrims seeking “freedom” from British rule. It includes the captured and enslaved Africans whose forced labor was needed to till the land of these newly acquired homes. It includes their reimagined culture which heavily influenced American music, food, dress, and language. It includes the Chinese, Filipino, Japanese, Cuban, Mexican, Jewish, Puerto Rican, and numerous other groups of people whose blood, sweat and tears were spilled to help prosper this nation. Yet, many of these groups are usually only given credit for the fun, foods, and holidays they represent. U.S. culture has always been influenced by the contributions of many diverse peoples. Multicultural education only seeks to normalize and accurately include the recognition of it. And Yet It Remains on the Fringes of Many Educational Circles Many well-meaning teachers and administrators may believe multicultural education is not needed on their campus due to the physical diversity of their faculty and student body. Thankfully, multicultural education is more than just allowing students and teachers of color to reside in the building. It is more than a once a year festival, celebration, or mention of a famous person of color. It is precisely how well teachers and schools are actively ensuring that the effective practices needed to increase academic achievement for all students are embraced and implemented. True multicultural education takes an active approach to reduce the inequalities in education and provide more equity in access to quality school environments, teachers, and curriculum. Unfortunately, any examination of many of our public schools’ racial achievement gaps, discipline rates, and drop-out rates paints the hard picture that much of the school experiences for many students are in need of revision. Dispelling the myths surrounding multicultural education practices are essential to the universal acceptance of it by mainstream educational institutions. Yes, many schools have begun to open their doors to more diverse ways of knowing and believing, however there is still so much further we need to go. We need to prepare students early with the skills to positively interact cross-culturally. We need to provide them with accurate and complete histories and perspectives of diverse groups. When we do this, we will spend much less time combating the hate, racial violence, and bigotry we are currently dealing with as adolescents and adults. The diversity of America is what makes America what it is. We only need to continue down the path to increasing the recognition and affirmation of this value so that America can truly be great, for once, and for ALL. Next postIt’s 2019! Time To Get Rid Of Racism In Our Schools!